Strong words! Since the news that the Trump administration would be considering the tariffs broke, Ikenson has been joined by pretty much everyone else in criticizing the plan. But, you say, surely there must be some reasoning behind the Trump plan beyond short-term political gains, as mid-term elections get closer? If Trump chooses to move ahead with the tariffs, the protectionist maneuver may help energize his working-class base before November’s midterm elections and turn them out to vote in key Senate races. Yet it risks raising car prices, complicating pending trade talks, and antagonizing lawmakers into re- examining presidential trade authority. Trump ordered the investigation under Section 232 of the Trade Expansion Act of 1962, the same power he used to impose global tariffs on imported steel and aluminum earlier this year. A tariff on vehicles of up to 25 percent is under consideration, according to a person familiar with the matter who asked not to be identified. Trump’s directive, issued late Wednesday in a written statement, surprised the industry, labor, lawmakers and many of the president’s own advisers. And more, from John Bozzella, president of Global Automakers, a Washington trade group that represents car manufacturers including Toyota and Hyundai, via The Wall Street Journal. 3rd Gear: What About The World? How Is The World Reacting To The Idea Of Tariffs? I Mean, There Has To Be Some Constituency For Car Tariffs Outside Of Our President. Here’s Hiroshige Seko, Japan’s trade minister, again via WSJ. “If it comes into effect, it would cause very broad restrictions on trade and create disarray in global markets. It is very regrettable,” said Tokyo’s trade minister, Hiroshige Seko. Ah, hmm, so, to recap, that’s Republicans, the entire auto industry, world leaders, and the Cato Institute who hate the idea of car tariffs, in addition to the usual Trump antagonists like Democrats. Huh. Well, they seem like bad idea, but it’s possible that everyone else is wrong and Trump’s right, I suppose. The emissions scandal known as Dieselgate will seemingly never end for Volkswagen, who really deserve all they’re getting. The latest sign that VW is still in this for the long haul? Comments by an EPA official reported Thursday in the German newspaper Handelsblatt. “The VW story is not over yet, not for VW and not for the EPA,” the business daily quoted Christopher Grundler, director of the EPA’s Office of Transportation and Air Quality as saying. But some senior managers including previous chief executive Matthias Mueller have said the task of learning from past mistakes and introducing change was proving harder than expected as some managers were resisting the transformation. Handelsblatt also quoted Larry Thompson, the U.S. monitor appointed under the 2017 plea agreement to oversee VW for three years, as saying that he is “not at all satisfied” with the progress of culture change. VW on Thursday said Thompson’s findings had uncovered “a need for action” to establish integrity and compliance rules across the multi-brand group as it struggles to overcome the scandal. A scandal that was long in the making requires a fix that was never going to happen overnight. It’s thinking about letting private automakers invest in its state-owned automakers, a move which would help them compete with companies like Toyota, in addition to the German manufacturers. A policy paper outlining the proposal is being studied by government departments, said the people, who asked not to be identified disclosing private discussions. The plans are preliminary and could change depending on feedback from different agencies and industry players, they said. The proposals don’t specify what level of stake is permitted. The National Development and Reform Commission, the government’s key planning body, didn’t immediately respond to a fax seeking comment. 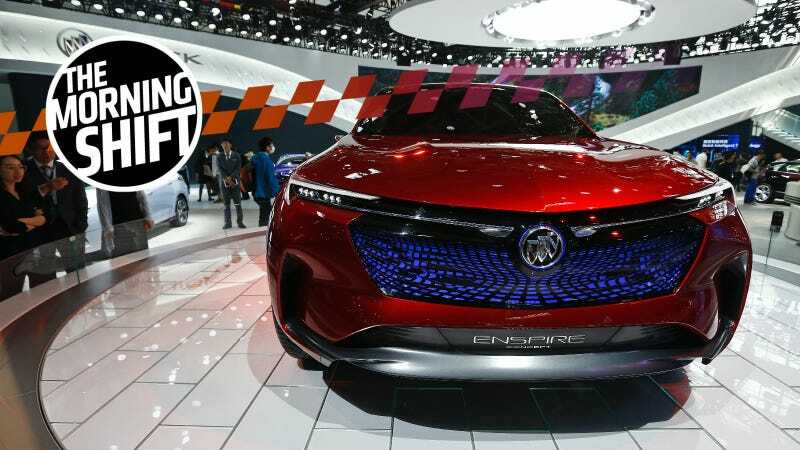 So this is all a bit hypothetical for now, but you can expect more moves like this as China heads gets increasingly serious about being a global player in the automaking world. I was going to ask something about our orange president, but, honestly, who wants to talk about that, summer’s finally here.